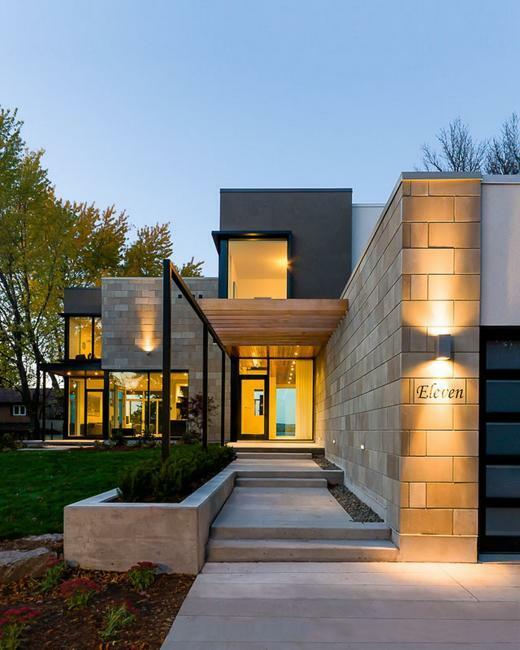 This modern house design with spectacular glass walls create gorgeous, spacious and airy home interiors connecting interior design with outdoor living spaces in attractive style. Contemporary home consists of bright rooms that enriched by picturesque views of natural surroundings. 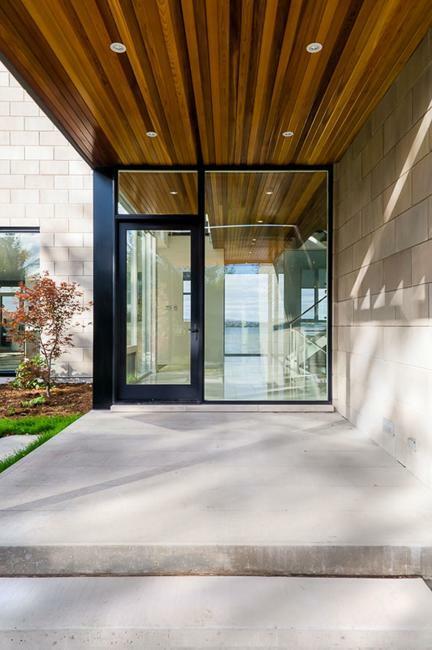 This modern house design is an architectural project by Christopher Simmonds Architect Inc., www.csarchitect.com/ and offer a great opportunity to enjoy modern home interiors with glass walls surrounding by beautiful natural landscaping. 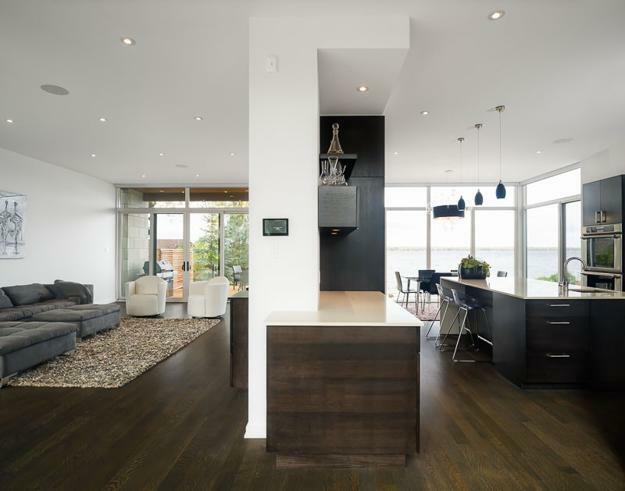 Modern interior design ideas, natural materials, glass walls and natural light create luzurious and inviting living spaces. Airy staircase design and an entryway design with a natural cedar planked ceiling connect yard and all home interiors with stunning views. 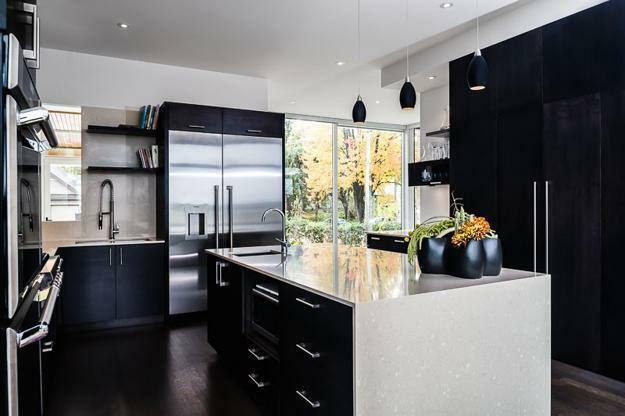 Black and white kitchen design with white quartz countertops features sliding glass doors to the yard with beautiful trees and shrubs, creating a gorgeous accent and adding personality to the contemporary kitchen. This impressive house design provides functional and stylish home interiors white inviting to connect to the nature and admire the expensive natural setting by the river. Wooden ceiling look spectacular bringing warmth and a pleasant brown color combination into modern interior design with glass. Floor decoration is a blend of white porcelain tiles and dark stained, quarter-sawn oak wood, creating elegant interior design. Kitchen island and storage cabinets in dark stained ash wood create strong contrasts with white decorating ideas and add warmth of comfortable dark brown colors to open living spaces.